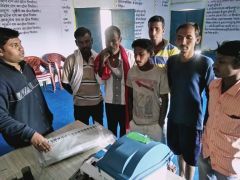 Showing results for tags 'national voters day'. Highlights of National Voters' Day Celebrations - 2019 at Civil Secretariat, Punjab. President of India was presented with the 1st issue of the Quarterly ECI magazine 'My Vote Matters' by the Chief Election Commissioner on NVD.